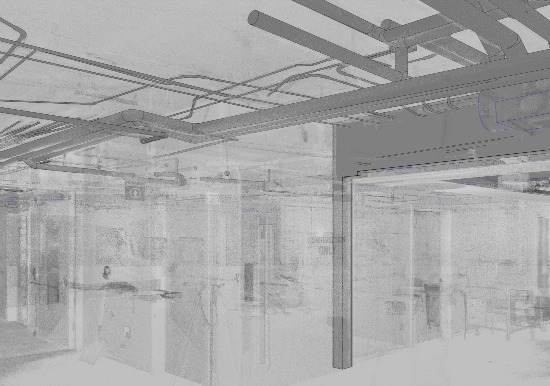 ZS was retained to conduct laser scanning and BIM conversion services to create a highly accurate, 3D model of the 7th floor of Columbia St. Mary’s Hospital. The as-built model was required for the contractor coordination of a major renovation project for this 30,000 sq ft space. Scanning was completed in a single day with minimal interruption to ongoing construction activities. 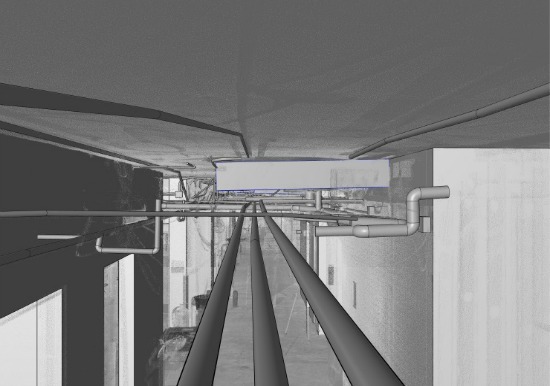 Scanning was performed at over 130 scan positions above and below the ceiling grid. 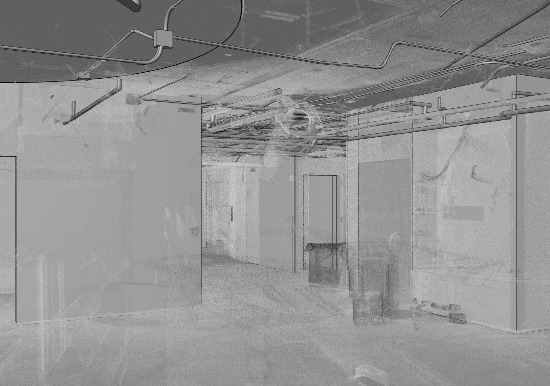 The scan positions were then registered to create a single, composite point cloud. 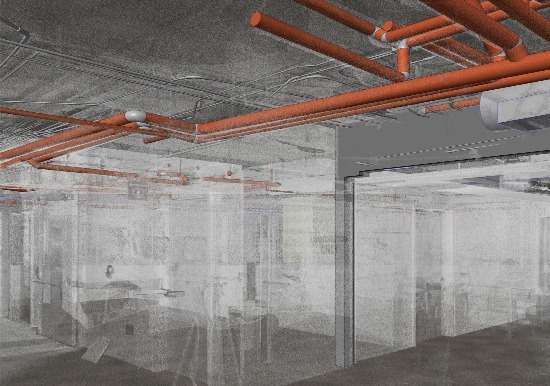 A 3D, BIM model accurate to 1/2″ was then created using a combination of state-of-the-art automated and manual point cloud extraction techniques. 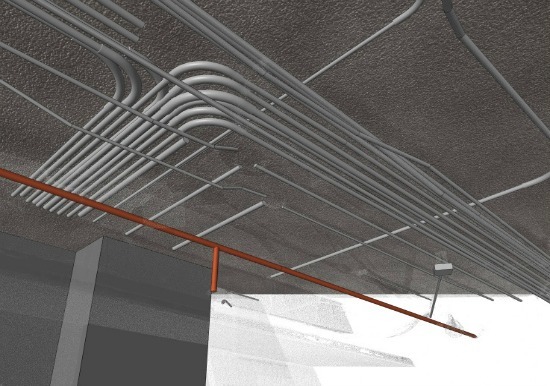 As-built Architectural, Structural, and MEP models extracted from point cloud. 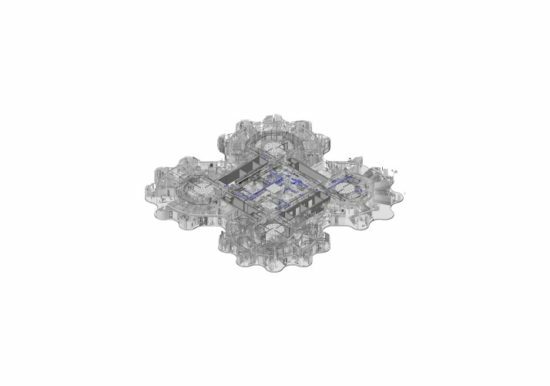 The Models included Structural columns and capitals, Walls and openings, Floor slabs, Piping and conduit, Ductwork, and Electrical junction boxes.